Blog posts, videos, social media, and other original material — collectively known as content marketing — make up a critical part of any successful SEO strategy. In order to maximize the benefits of content marketing, however, medical practices should strive to maintain a consistent publishing schedule. 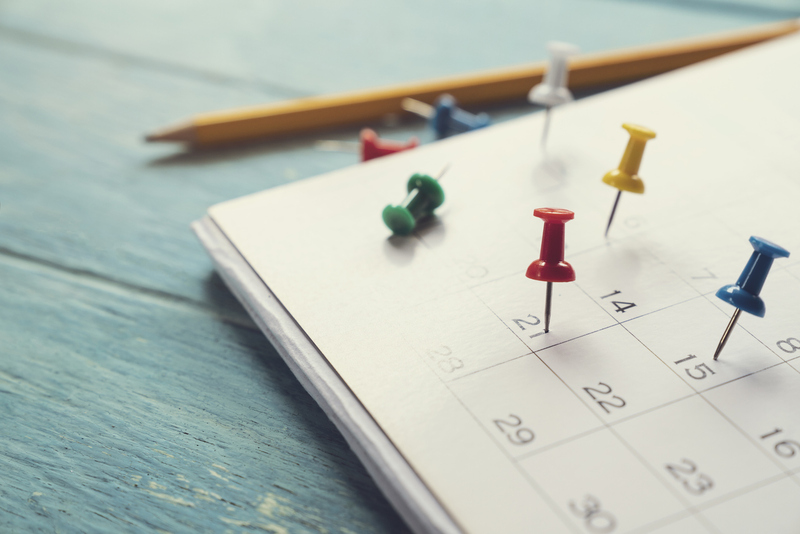 Whether you’re just starting to develop your organization’s marketing efforts or are well into implementing a content calendar, you’ve probably realized that healthcare marketing means keeping track of a lot of information. To that point, establishing a clear plan is one of the most crucial things your marketing team can do — without one, it’s hard to succeed, and almost impossible to scale. If you’re just starting out with content marketing, a spreadsheet can be a perfectly sound approach. It’s straightforward, fairly easy to use, and many people have at least some familiarity with it as a tool. For instance, Google Sheets is free and shareable with others in your organization. To get started, simply use one sheet with different tabs for editorial, social, and graphics. Within the various tabs you can add relevant categories, like due dates, performance metrics, keywords or subject areas you’re targeting, and the current status of the project. Your staff can easily make updates, as well as view others’ projects. There are also a number of Excel templates available that can get you set up with blog scheduling, social calendars, or graphs to track growth. Spreadsheets don’t have extra workflow capabilities — they won’t send you reminder emails for a missed deadline, for example — but for the basic needs of a small practice, a spreadsheet can be an excellent place to start. If you’re part of a larger organization or are trying to scale your healthcare marketing efforts, you might find yourself outgrowing the spreadsheet. Entering all that information manually can be a pain, and you may end up tracking down details from other team members just to add to the chart. Instead, it may be time to consider investing in more advanced publishing and planning tools. Marketing software varies in capabilities and price. Many have free trials or offer free use with limited features, so your practice can try out what works for you. Platforms like Trello can help you manage workflow, boosting transparency across your organization. Social tools like Hootsuite and Buffer allow you to plan and automate posting so that you can establish a steady, hands-free schedule — and instantly get valuable insight into ROI. If you spend your time looking for content that your organization can share, consider curation tools like Curata or Feedly — these platforms deliver relevant articles, videos, and more, based on your parameters. You can also give robust CMS software like HubSpot a try. This inbound marketing and sales software provides a range of tools that can help you research topics and keywords, attract patients, and analyze your results. For many healthcare marketing teams, picking and choosing the right software solutions makes all the difference in managing your editorial calendar. Although the above tools are generally well-designed and approachable, not every medical practice has the time, resources, or staff to create and execute a comprehensive marketing plan, even with the best software. Ultimately, if your business doesn’t have the capacity to build out a full marketing team, you may want to consider working with a digital marketing agency. With a marketing agency, you can get support in exactly the areas you need. Don’t have the capacity to run a blog, or unsure of how to boost PPC results? An experienced agency can help maximize your output quantity and quality without the logistics of managing full-time marketing staff. If you’re able, work with a marketing agency that has healthcare content experience — this is crucial for such a highly regulated and technical field. Choosing the best option for your practice has everything to do with your organization’s size, current capacity, and goals. Consider the next several years, not just the next month — and invest in the solution that will actually help you streamline and grow.